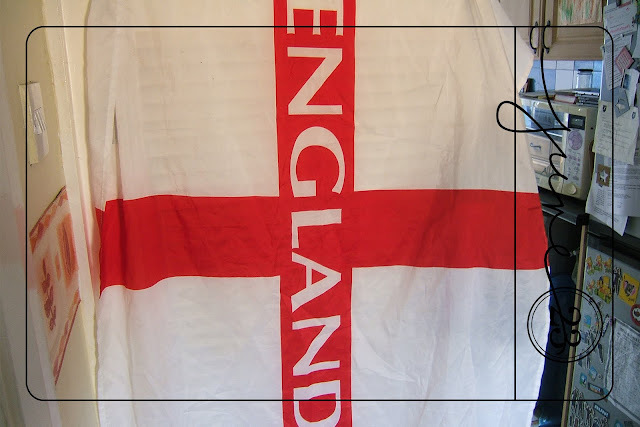 We don't go in for the car flags, or festooning the front of our house with bunting, but we do have a large England flag that we usually hang somewhere in the house during big tournaments! (It's been packed away again now of course, *sigh*...) June 23rd was the day we (just!) beat Slovenia. Bah Humbug to football!! But YAY!! for blueberry muffuns!!! We have a small world cup sign up in the living room, but we've put away the big US flag too.